EVERYONE HAS A NEXT STEP. WHAT'S YOURS? We hope our church can be a place where you connect to others and find a home. Here at our church, we believe in the core values of inclusivity and redemption, grace and love; and above all, the transforming power of Christ. Our dedicated team would love to connect with you and hear more of your story and help find the best place for you to flourish. We're so excited you're interested in learning more about who we are and joining the family! 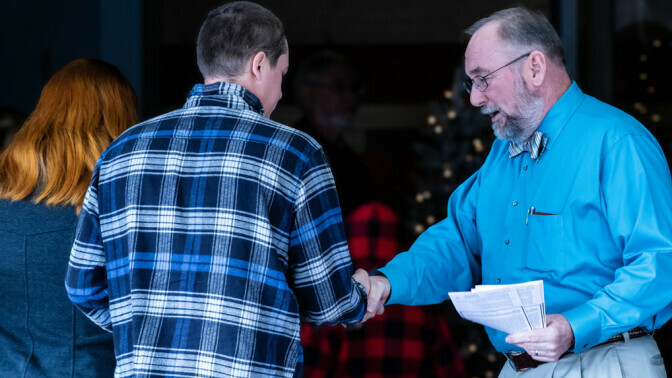 At Covenant Church, you will discover a warm group of real people dedicated to following our Lord and Savior, Jesus Christ. We strive to be a diverse church that reaches the broken, worships the Father, and pursues life change in Christ. 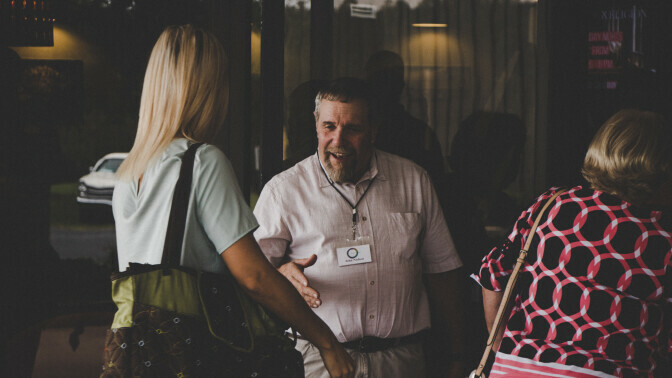 Covenant Church is a community of everyday people who strive to know Christ in a deeper way. Pastor Mike is committed to communicating God’s Word clearly and with application to today’s culture. Our purpose is to be a diverse church that reaches the broken, worships the Father, and pursues life change in Christ. Our Sunday service is a casual environment filled with engaging worship, Scripture led teaching, and a unified, diverse community. Come as you are! Our story is not a history of locations or buildings, but of people whose hunger for God and changing lives reflect the fingerprint of God's presence. During our first Sunday service, held August 26, 1984, 120 people gathered in the "upper room" of the Lincoln County Citizens Center to celebrate Jesus Christ. Many of those families are with us to this day. The first government of our church fellowship was provided by twelve men who formed a temporary "Steering Committee". These men covered the infant church family in prayer and intercession. By October 14, 1984 Covenant Church met at S. Ray Lowder Elementary School for Bible study and worship. These were significant days of unity, strengthening, and fellowship. Charles Brown preached his first sermon Sunday, November 18, 1984, and ten days later received a unanimous call to become our first pastor. Charles, Lynne, and their five children moved from Orlando, Florida to Lincolnton, North Carolina arriving December 28, 1984. We quickly outgrew the elementary school and relocated in the historic First Baptist Church (Lincolnton's Cultural Center) in downtown Lincolnton. We enjoyed our days of spiritual formation as the Lord knit our hearts together in love and grounded us in His truth. After understanding His plan for local church government, we ordained elders and later recognized deacons. Each man was given a special area of service and responsibility. Our church family was taking shape. Continued growth led us to our present location, nearly twenty acres on the Gastonia Highway leading into Lincolnton. We began construction on our first building (a Multi-Purpose Worship Center and Educational Space) by October 1987 and completed our second building (the Family Life Center) in 2001. 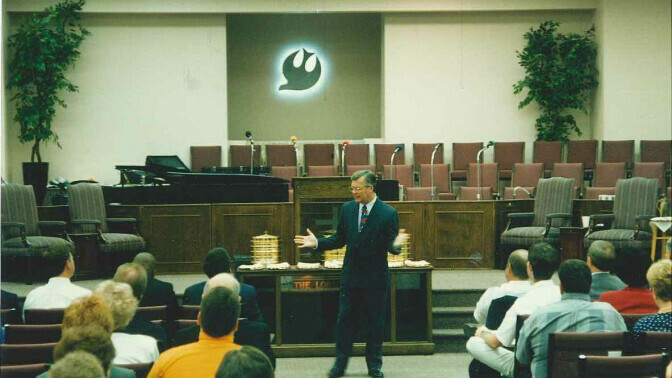 On April 30, 2006, Charles Brown retired and passed the mantle of Senior Pastorship to Mike Devine who had served the church as youth pastor from 1992-2004. The story of Covenant Church parallels God's Kingdom. What began in apparent insignificance is now becoming a visible, powerful army of people; His Church-the people of God! As a new member of our family, we hope to see you connected and thriving at our church. We want to be a community to you just as much as we want you to be a community to us! We value honesty and growth here - and we hope you do as well. As we come together and strive together to lean into the challenges Christ is calling us to, we hope to be a strong force in enacting that change. We want you to serve, as well as be served. We want you to grow, as well as help others grow. We want you to learn, as well as to teach. We want you to be real, as well as honor other's realness. We want you to be prayer over, as well as pray for others. We want you to be challenged, as well as challenge those around you. Ultimately, we want you to learn about Jesus, while becoming more like Jesus. And we want to help! 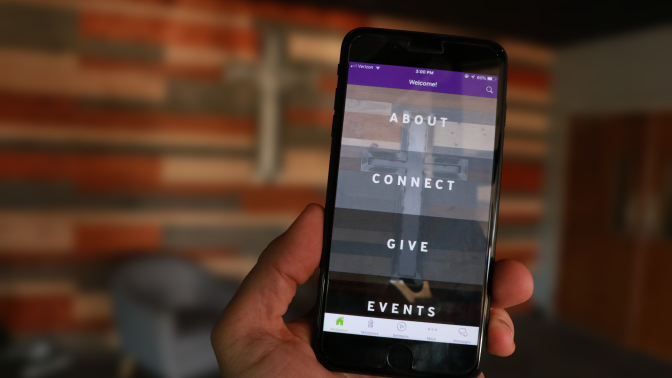 Always keep up with dates, blogs, events, and sermon notes on our church app! Along with all of those features, this will give us the ability to keep you in the know for all of those busy months we have! The App is free and very easy to use.